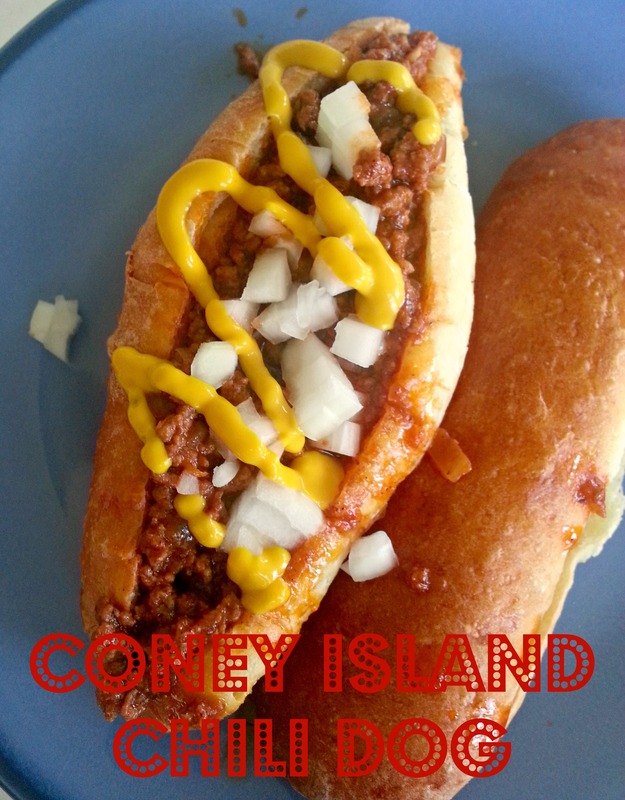 I have never been to Coney Island, so I can’t verify authenticity of flavor; but we really enjoyed it – my boy gave me two enthusiastic thumbs up 😉 It’s not at all spicy and the celery seed is an interesting but welcome addition to this meaty sauce. Also, if you’re a fan of bread making you could make these buns. 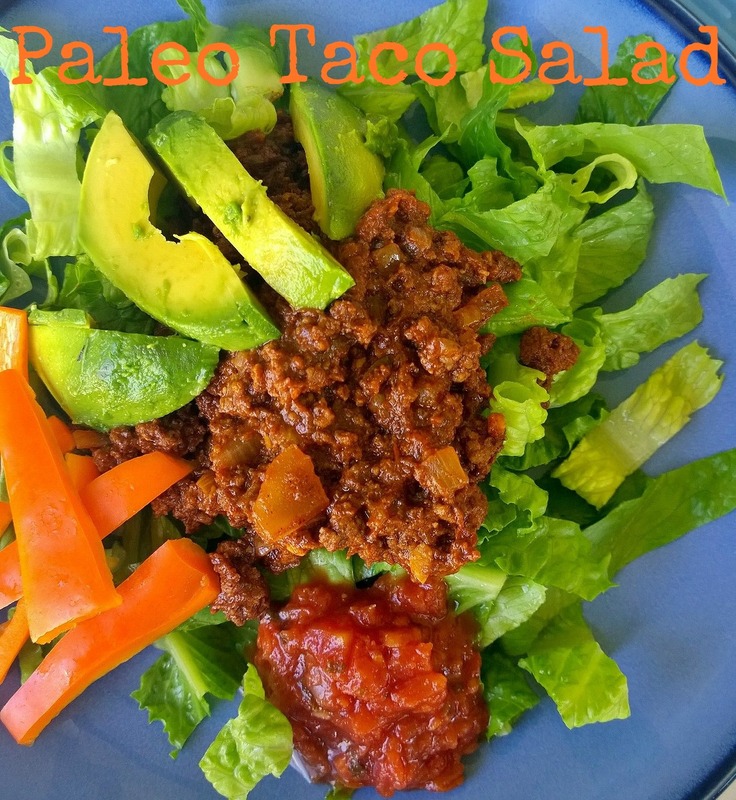 These are flavorful with a much heartier texture than store bought buns so they hold up well to the chili. Thanks for reading, enjoy! Brown ground beef in a skillet, adding onions half way through. Add minced garlic when meat is nearly done. Add remaining ingredients; stir well to combine. Simmer over low heat 15 minutes. Serve over hot dogs! Note to self: take it easy on the salt next time. I followed the directions/amounts and this came out too salty for me. 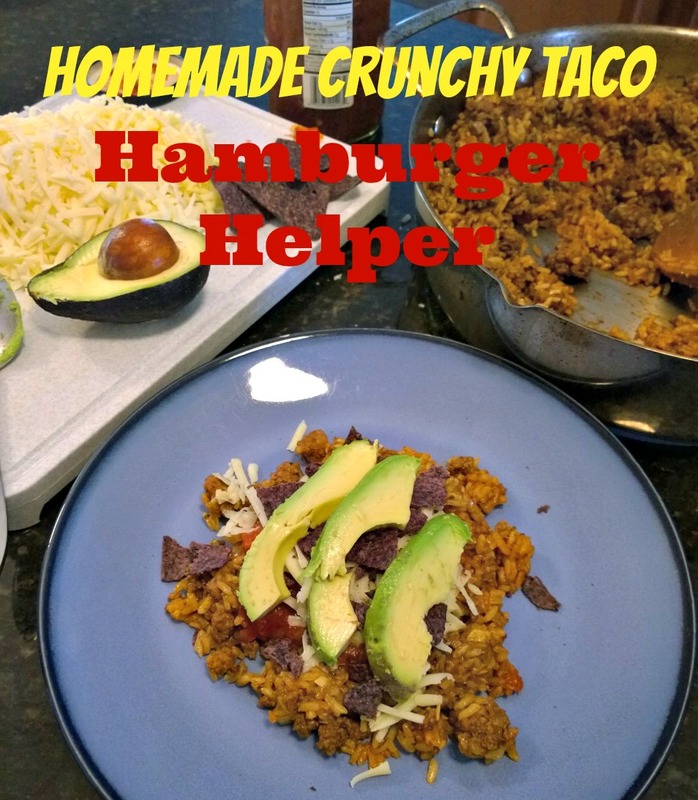 The ground beef mixture by itself is really flavorful and a tad on the spicy side, but when it’s combined with the rice, cheese, pico and some sour cream its much milder. I don’t usually advocate the use of sour cream in Tex-Mex dishes, but this time it was needed to cool things down a bit. 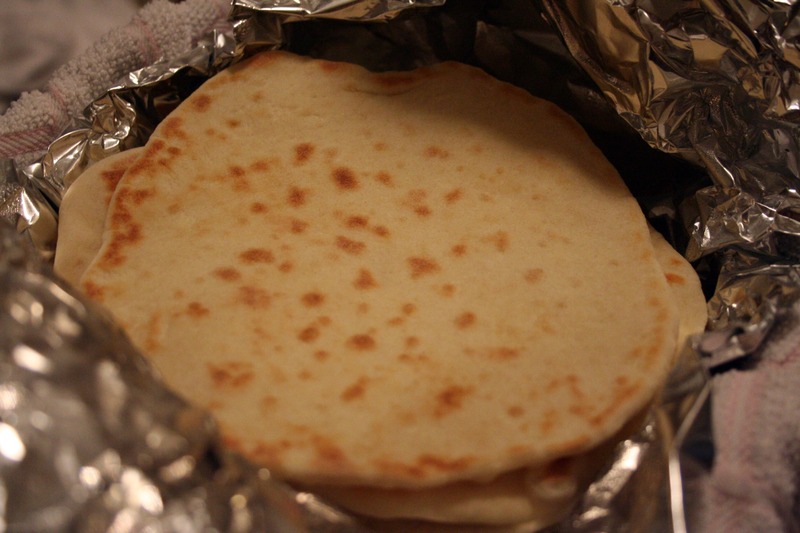 Tonight was my first try at making tortillas – the recipe isn’t authentic because there isn’t a drop of lard in the mix. I have nothing against the use of it, but I didn’t want to try that kind of recipe, fall hopelessly in love and be required to make them for the rest of my life! ;o) As a kid, my parents would take us to Old Town San Diego to eat at this amazing Mexican restaurant. I enjoyed watching the ladies make tortillas through the big windows in the front of the restaurant. For some reason I was entertained by that; but more so I knew that some of those freshly made, authentic tortillas would soon be in my belly! They were so good! Overall these were pretty good. If I make these again, I will cut the amount of salt in half and season to taste toward the end of cooking. 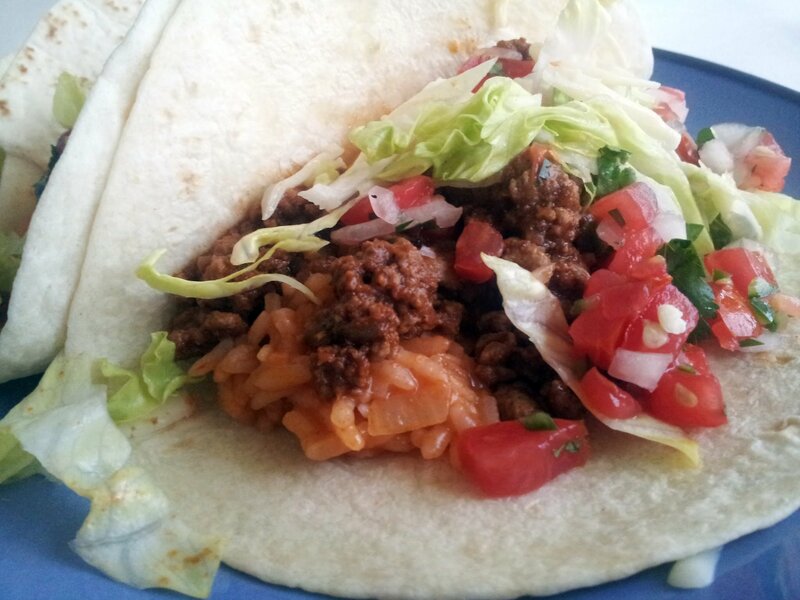 The tortillas were good, especially for a first try but I am open to finding a new recipe for my next attempt. Thanks for reading, enjoy! Add 2 tablespoons of oil in a large skillet. Once the oil shimmers, add the onion and cook until softened and lightly browned around the edges, about 3 to 4 minutes. Add the ground meat, 1 teaspoon salt, and garlic. Cook until browned, about 3 to 4 minutes, stirring occasionally, to break up the meat. Add Taco Potion and beef broth. Bring to a simmer and cook, uncovered, until sauce is slightly thickened, 2 to 3 minutes. 1. Mix together the flour, baking powder, salt and oil. Slowly add the warm milk. Stir until a loose, sticky ball is formed. Knead for two minutes on a floured surface. Dough should be firm and soft. Place dough in a bowl and cover with a damp cloth or plastic wrap for 20 minutes. 4. 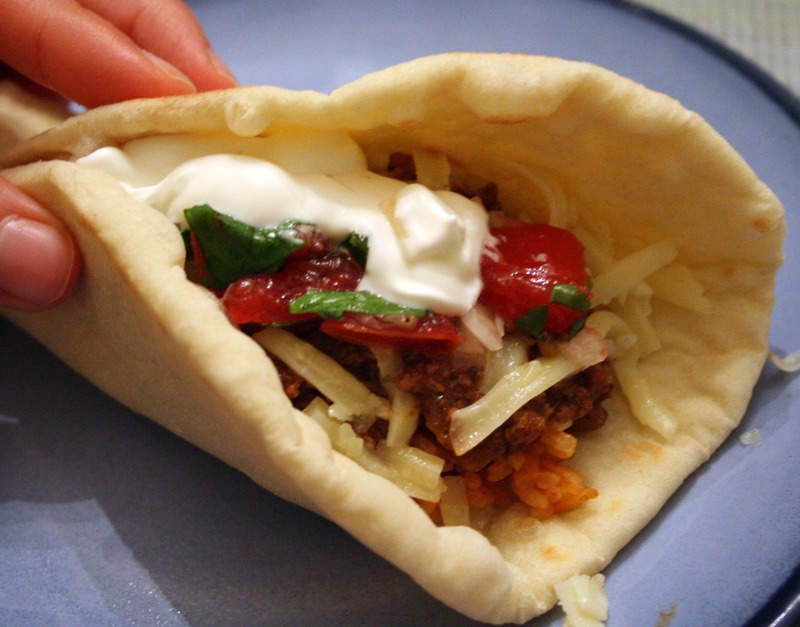 Keep cooked tortillas covered wrapped in a napkin until ready to eat. 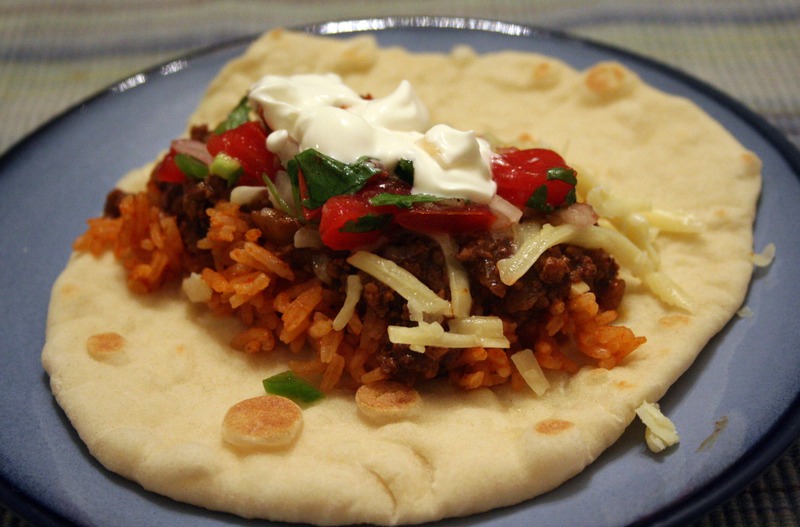 Can be reheated in a dry iron skillet, over your gas-burner flame or in the oven wrapped in foil. While you probably won’t have any leftovers, you can store in the fridge tightly wrapped in foil or plastic for a day or so. Makes eight tortillas.